Thomas Benton Slate (1880-1980) was a visionary, engineer and inventor. Slate was born in Tangent, Oregon, raised in Alsea, and died in Corvallis. At age 40, Slate moved his family back to Alsea, fondly referring to his Benton County home as "the best place this side of heaven". Thomas B. Slate once wrote, "The highlight of my inventive career came during World War One," when he developed airplane technology for the Allies. After the war he built a "housecar" on a Ford truck chassis, where his family briefly lived and attempted a cross-country road trip. In 1924, Slate developed the commercial process for the manufacture of dry ice. From 1925-1929, he was building the Slate All-Metal Airship called the "City of Glendale". The "City of Glendale" was a hydrogen-filled metal dirigible. 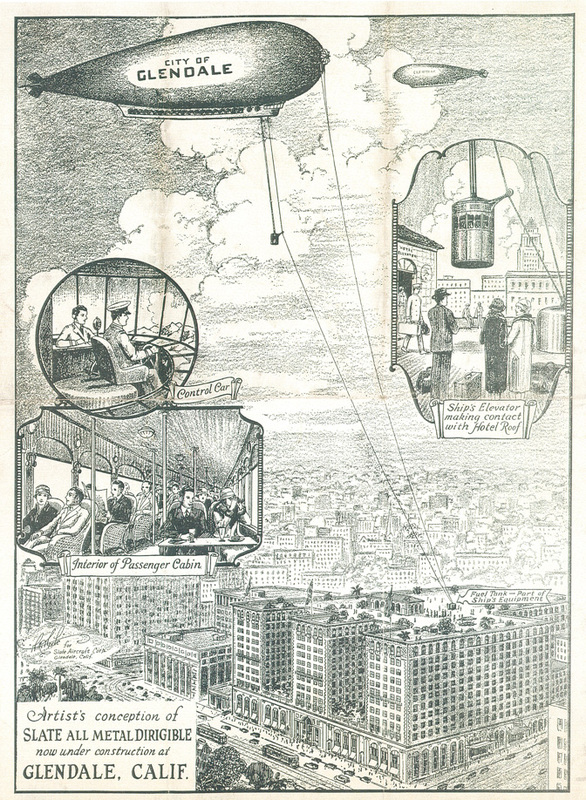 His plan was to travel up to 100 miles per hour, with as many as 40 passengers, and deliver them from the airship to their final destinations in an elevator on a long wire to the ground, "thereby eliminating expensive ground crews, mooring masts, and other terminal facilities".